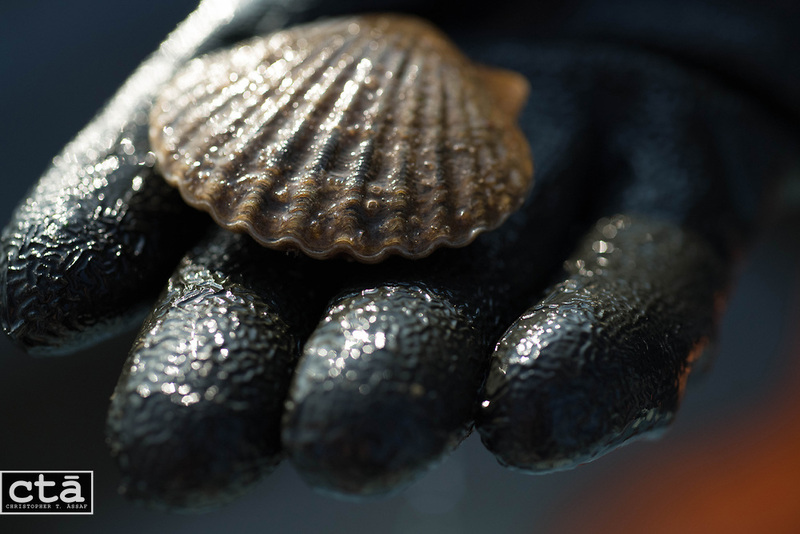 Scallop Farming | Christopher T. Assaf Visual Journalist Visual storyteller Christopher T. Assaf lives in Austin, Texas. He works throughout Texas, the Gulf Coast, Southwest, Midwest and available to go almost anywhere. He is an experienced photojournalist specializing in sports, portrait, lifestyle, magazine, corporate, pet, commercial & wedding. He is an award-winning video editor and cinematographer. The Olde Salt Farm where scallops are raised and harvested for Rappahannock River Oysters, a restaurant in Richmond VA.
Patrick Oliver is director of farms for Rappahannock Oyster Co. Divine "Tink" Hinmon (gray shirt) is the Foreman of the Olde Salt Farm on Wallops Island. Kevonte Byrd, title is “farmer,” is in the red shirt.